The digitalisation of the energy transition and the associated smart meter rollout is linked to the visualization and transparency obligation towards customers with non-communicative digital meters or smart meters. However, this conversion also offers great opportunities, because it not only makes the installation of digital meters mandatory, but with the newly created data basis both metering point operators and utilities as well as their customers can realize added values. 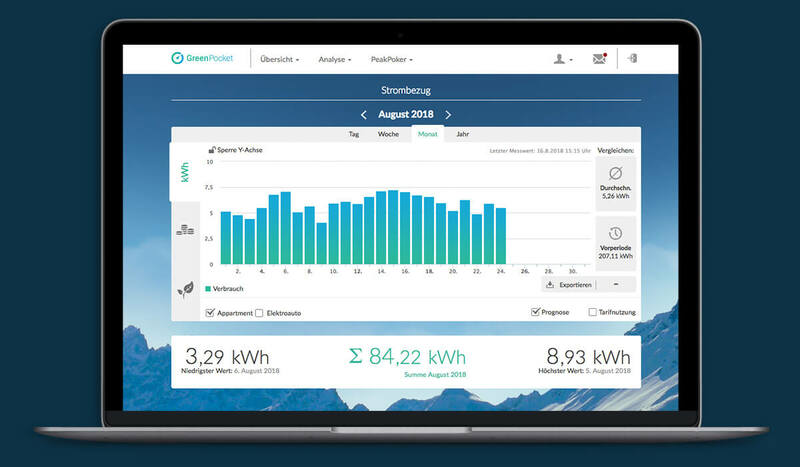 The Energy Cockpit for residential customers allows you to take advantage of these opportunities.The Energy Cockpit is a particularly intuitive, user-friendly smart metering solution for residential customers and small businesses alike, which brings clarity and transparency to users' energy consumption. The slim basic solution meets all legal requirements of the smart meter rollout. With the premium solution you have the opportunity to set yourself apart from the competition and offer your customers added values due to many special functions. We support you with years of process experience and great competence in the selection of suitable products and the realization of your potential. With our basic solution we offer you an affordable introduction for implementing a visualization software for your customers. 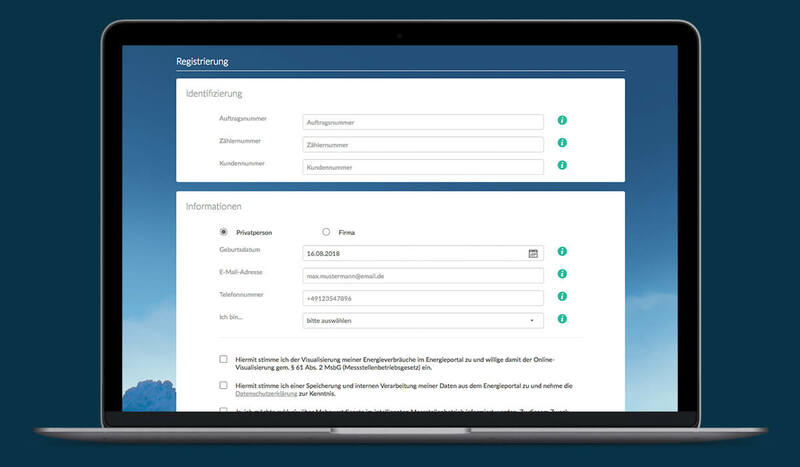 The GreenPocket solution is compatible with all current MDM systems and meets all current and prospective legal requirements of the german MsbG and the GDPR. This makes it an attractive solution especially for metering point operators responsible for basic electricity supply. The short time-to-market means your software is live within just three months. The portal is fully customizable to the look & feel of your company: texts, images and colors are coordinated with your corporate design. In this way, everything seems to be of a piece for your customers. 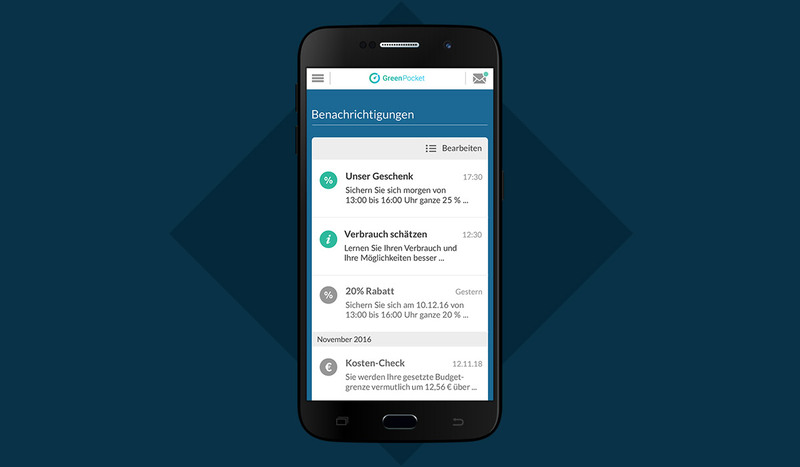 On the dashboard the most important data of your customers are clearly summarized. Current meter readings, consumption and billing-relevant measurands are visible at a glance. Detailed analyses of historical data are available at a click. Clearly arranged analysis pages for the individual divisions make it particularly easy to estimate your own production, feed-in and energy consumption. With the export function, the data can also be saved for documentation or in-depth analysis. 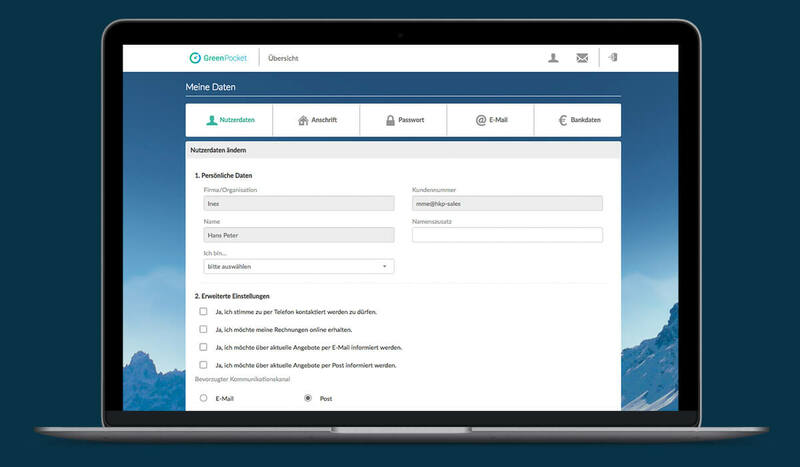 Your customers can see at a glance whether a additional payment or a reimbursement is due. 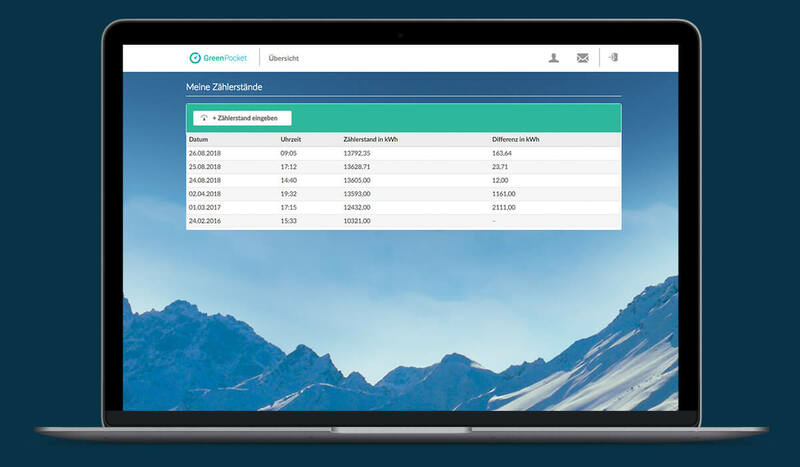 You can flexibly define your own limits and be automatically alerted in the event of a forecast consumption or budget excess. 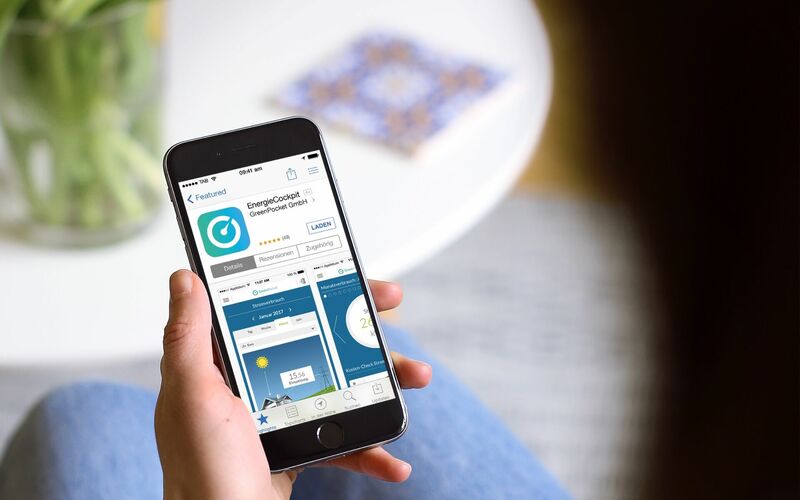 Comparisons with the previous period or historical averages make it even easier to estimate one's own energy consumption. Share energy saving tips with your customers and help them sustainably reduce their energy consumption. This way you help your customers protect the environment and thus strengthen their trust in you. The solution supports all current and future legally required tariff application cases (TAF 1, TAF 2, TAF 6, TAF 7 etc.). Our administration tools help you keep your operating and support costs low and thus effectively secure your success. As an administrator, you get a comprehensive and clear overview of users and meters. 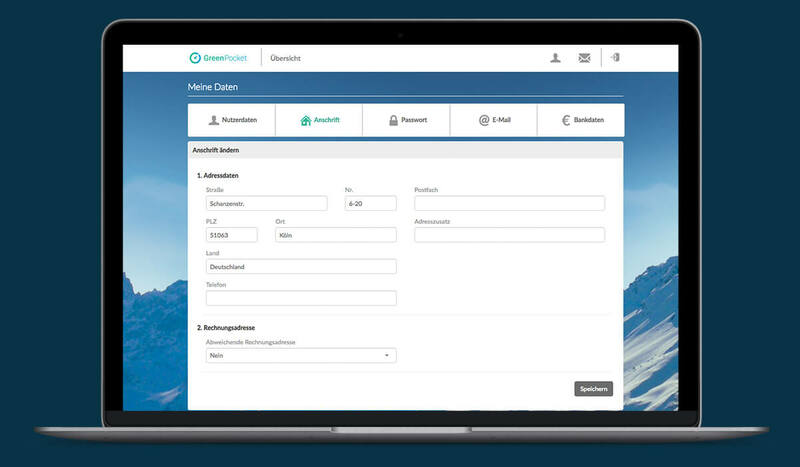 The possibility of logging into the customer interface also provides you with an effective means of enhancing user support. Fast and reliable error detection enables the multi-stage mapping of irregularities in the delivery of consumption data to the exact metering point. With our document management you can store general terms and conditions and customer information via link or upload as PDF. Customers are made aware of this and asked for their consent. 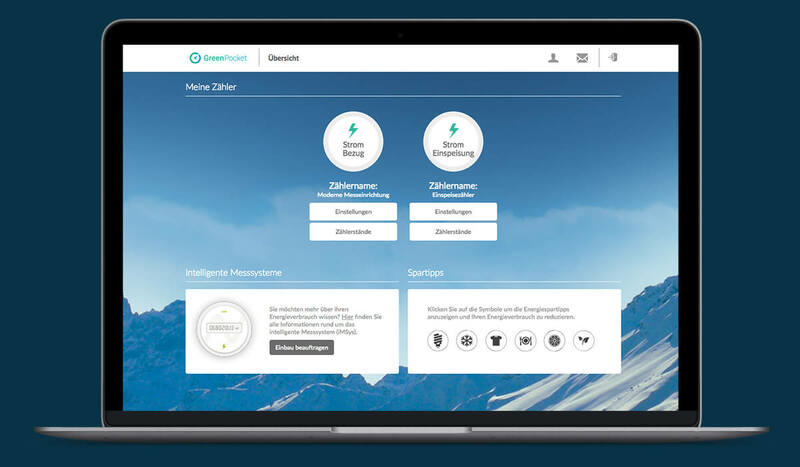 The premium solution of the Energy Cockpit provides attractive added values and thus is the best choice to gain an advantage in the growing smart meter market. Help your customers improve their energy efficiency and lower their costs. Expand the customer dialogue and optimize your services. This way you sustainably strengthen your customer loyalty. Present your customers with exclusive offers, increase their satisfaction and create sustainable customer loyalty. Complex, tested algorithms standardise the consumption of all participating households. This allows every user to compare himself with similarly equipped households and to better estimate his own consumption. Allow your customers to share their consumption and game results on social networks such as Facebook and Twitter and encourage competition or discussion on savings potential and new trends. 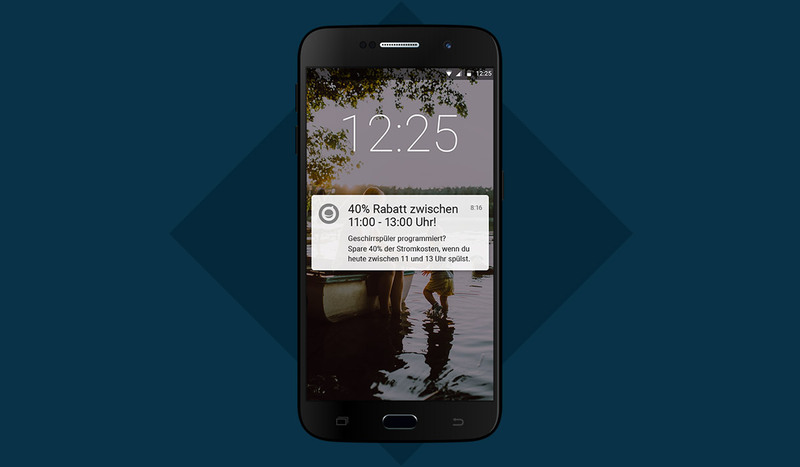 You can reach your customers anytime and anywhere via push notifications to provide them with important information and helpful tips. This provides you with a valuable tool for building customer loyalty. 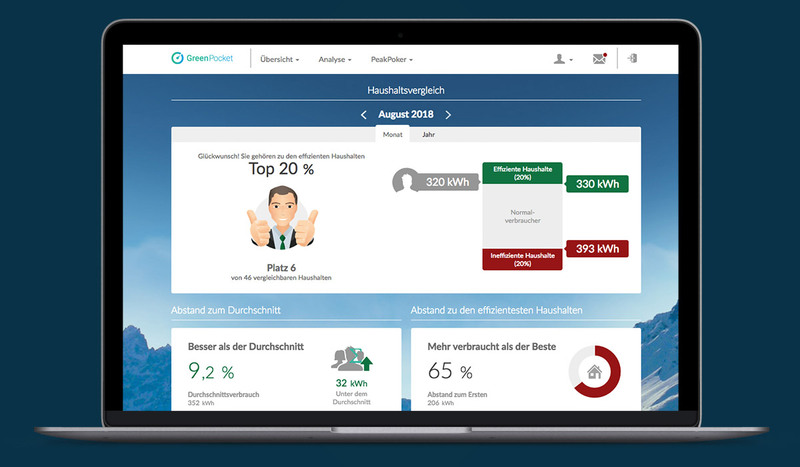 The basic version of the Energy Cockpit for residential customers is not only compatible with smart meters, but also with non-communicative digital meters. 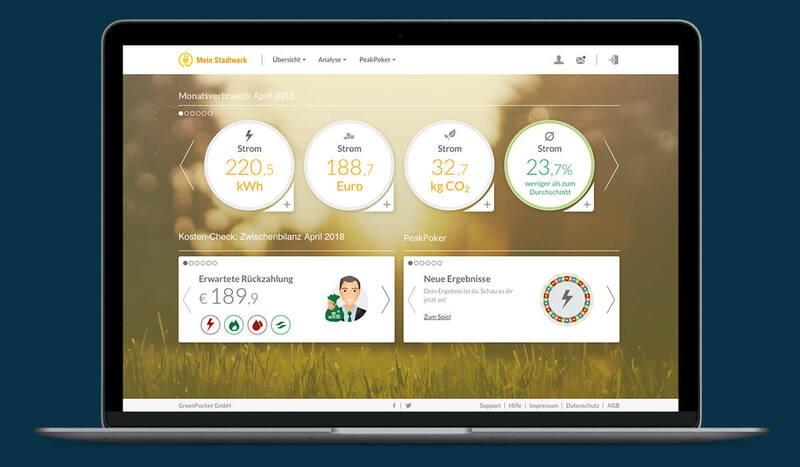 Thus we offer our customers a MsbG-compliant basic solution also for households with a consumption of less than 6000 kWh, in which no smart meter is installed. 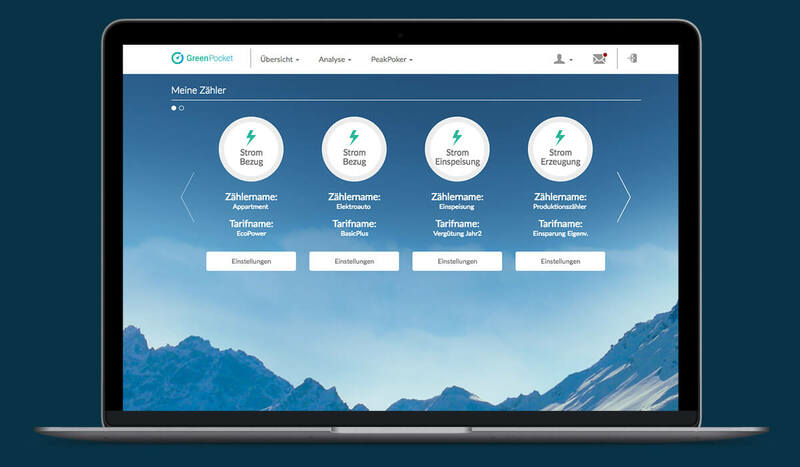 Using a customizable widget, any user can request the installation of a smart meter to get more data and take advantage of the solution's full functionality. The application for non-communicative digital meters is fully compliant with the law and also contains the most important basic features: Each user can view the key data conveniently on the dashboard and receives a display of all existing meter readings and consumption values. In addition, customizable energy-saving tips can be issued as a service to strengthen trust and customer loyalty. Due to the possibility of manually entering meter readings, users can enlarge their data basis additionally to the meter value that is issued once a year. In the chronologically sorted, clear display of the meter readings the consumption can be calculated. If a meter reading order exists for a household, the users are informed in the application and asked to enter the required meter reading. Only after entering the meter reading the note will no longer be displayed. To set up and maintain an organized Customer Relationship Management system (CRM), users can register themselves and insert their user information in their user profile. In addition to user and address data, a SEPA mandate can be activated. Users can also give their consent to preferred contact options and value-added services, creating additional direct communication channels to customers and reducing support costs. 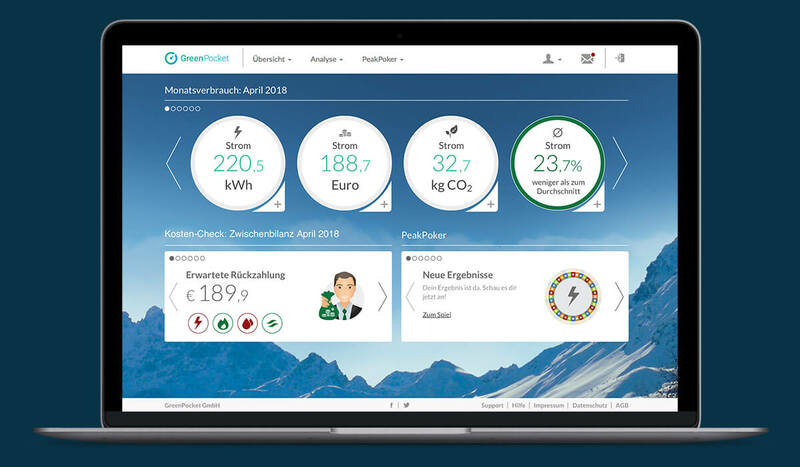 GreenPocket's customers do not only benefit from the continuous development of our Energy Cockpit, you can actively help shape it. Thanks to our flexible development options, you retain full control and can flexibly determine which further development is best suited to you.